Looking for the best? Well, you can’t beat “Awesome”! We are trusted by Denver’s most well-known businesses, restaurants and hotels. Our clients love us! Speed dryer fans for dry carpet fast! Fresh Deodorizers included on every appointment – choose your favorite scent! All Products are Non-Toxic and Effective – Excellent Results! Quality is #1 – We don’t rush through your location. With the most powerful equipment available, we can make your workplace clean and enjoyable! Awesome Joe’s premium carpet cleaning service can restore your commercial space to beautiful condition. Commercial carpet is very durable and responds very well to cleaning with the proper procedures. We can flush out dirt and grime and leave a fresh, inviting place to work. We offer our commercial clients a choice between steam cleaning and low moisture / encapsulation cleaning. Your technician can make a recommendation tailored to your business but you can be assured of quality results with either method. Awesome Joe Carpet Cleaning has brand new equipment ready to deliver the best results possible for whichever service you choose. 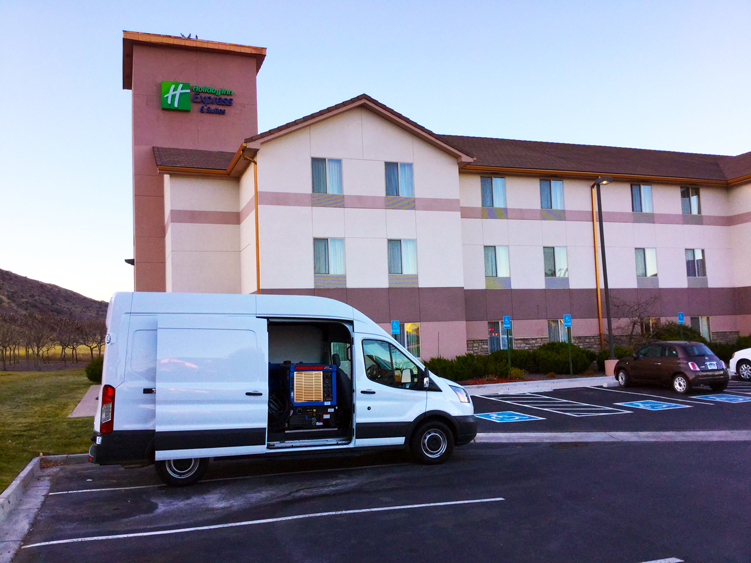 Our steam cleaning method is performed with brand new, top of the line truck-mounted equipment. This is important because this powerful machine can leave your carpets as dry as possible, and when followed up by our air mover fans we can dry your carpet in just a few hours in most cases. Our steam cleaning service is the most thorough method and flushes out the carpets, leaving a beautiful clean carpet. It is the best option for restaurants, heavily soiled commercial space and also a great option for office space if it is less than about 6 floors up with easy access to a stairwell. Our low moisture / encapsulation option for commercial space is a great choice as well, and leaves the carpets looking beautiful. This method can leave the carpet dry in under an hour and is a very quiet option as well, which is great for those times when carpet cleaning is desired during business hours. There are no hoses going out the door and the cleaning machine is self contained. 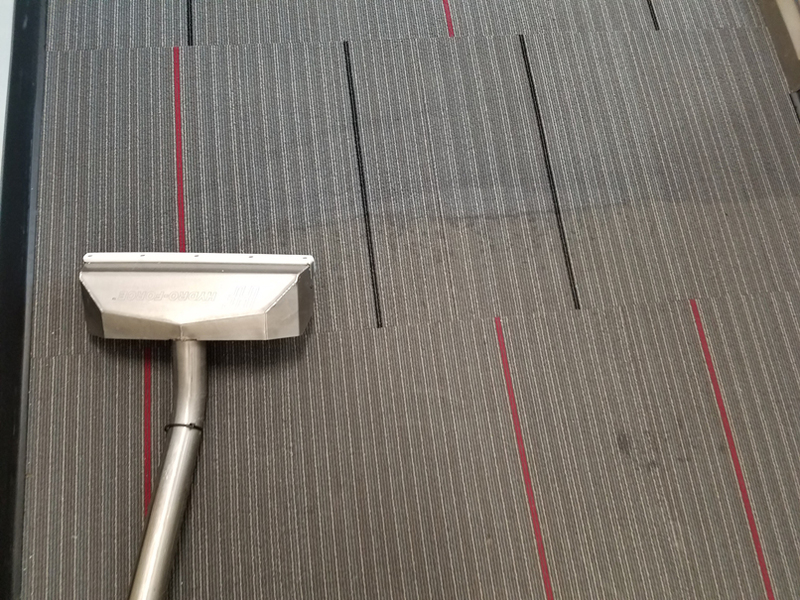 Our low moisture method also can clean carpets quicker than the steam cleaning method, and thus offers a lower price point per square foot cleaned. Often, we will recommend an initial steam cleaning followed by periodic quarterly cleanings with our low moisture / encapsulation method. Talk to your technician about which option is best for your specific commercial space. No matter which method you choose, you can be sure that Magic Wand will deliver the best results possible. 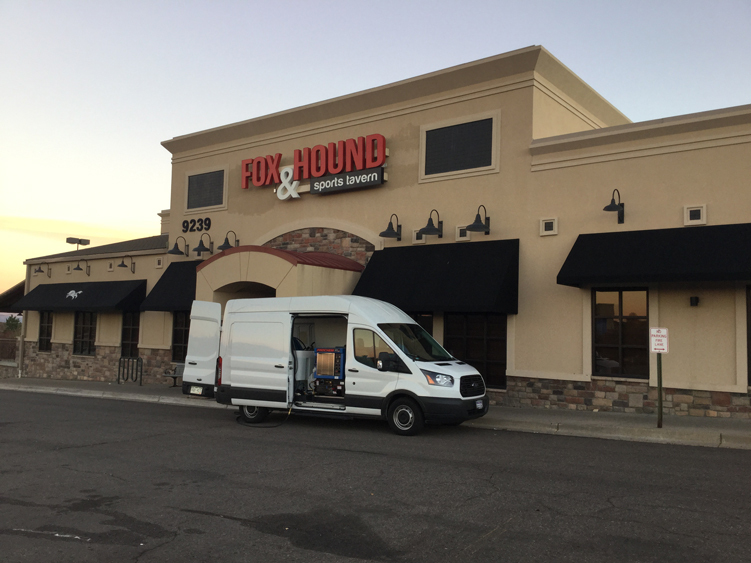 Our top-notch quality, quick scheduling options and attention to detail makes us your go-to solution for your commercial carpet cleaning needs. Remember, we also clean tile and grout as well! Time for some carpet cleaning? You have come to the right place! Please browse our website and learn about us, and feel free to send us a text message or give us a call if you have any questions or would like to schedule an appointment. You’ll be happy with the results – I guarantee it!